The Bourj Hammoud solid waste dump occupies a surface area of 16.3 hectares and rises to about 55 m above sea level with extremely steep side slopes. The bulk of the waste estimated at 6 million cubic meters consists of demolition debris, excavation material, municipal solid waste, industrial and hospital wastes. Slope failure could occur any time because the slopes are highly unstable. Geotechnical investigation showed that the subsoil underlying the waste is mainly a thick layer of soft clay which adds to the stability problems. Large volumes of gas and leachate are generated from waste decomposition, and migrate off the site. 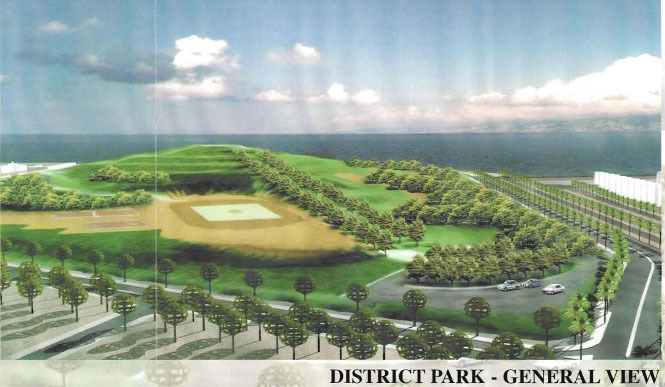 In addition, the visual impact of the dump is an important factor that was considered in the conceptual design. The rehabilitation scheme for the dump aimed at solving the problems of soil instability, leachate and gas generation and at transforming the dump into a district park. This park constitutes a principal feature of the LINORD development. Creation of an extension area in the location of the fishing port to accomodate excess waste from the dump, to lower its excessive height. Measures to solve slope instability, which include reshaping and lowering the height of the dump. Measures to solve problems related to landfill gas. -Measures to solve problems related to leachate, including capping and collection. -Grading, landscaping and irrigation. After care and provision for public facilities. The rehabilitation scheme consisted of lowering the height for stability and aesthetic reasons. 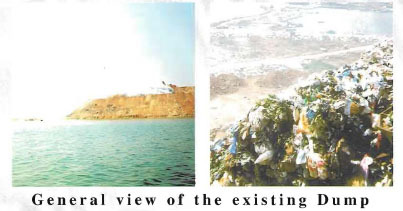 Excavated waste will be transported into the engineered sanitary landfill extension at the site of the fishing port. This extension will have a bottom lining and a leachate collection system. To limit the generation of leachate and the pollution of water underneath, the dump will be covered with a liner, supported by clay and sand layers. The entire dump will be covered with top soil to support vegetation. A gas collection system consisting of vertical wells and a drainage layer is also provided for in the design, with the possibility of gas utilization. Following rehabilitation, continuous monitoring of air and water quality will 'be conducted as part of a program designed for this effect. A program for the monitoring of air and groundwater quality is included in the Environmental Impact Assessment Study which was conducted as part of the LINORD Project.